Half-round model - Green Marble. 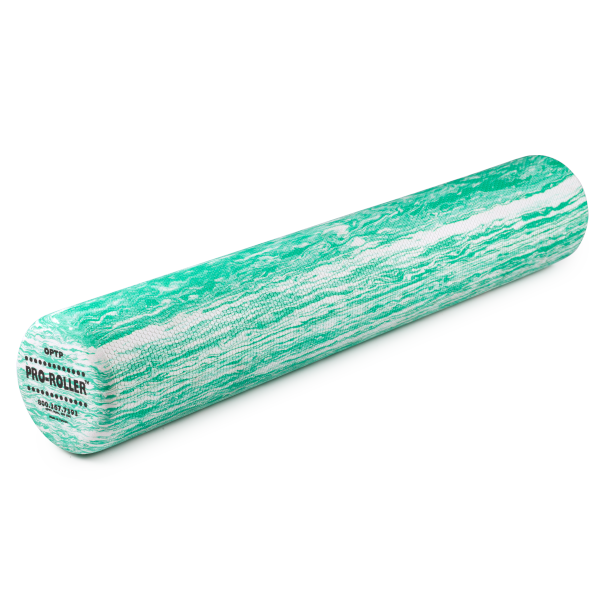 These professional-quality foam rollers feature a highly durable EVA foam construction and standard density for massage or exercise. With a comfortable standard density (medium firmness) and multiple size options, these rollers offer a variety of uses and benefits. 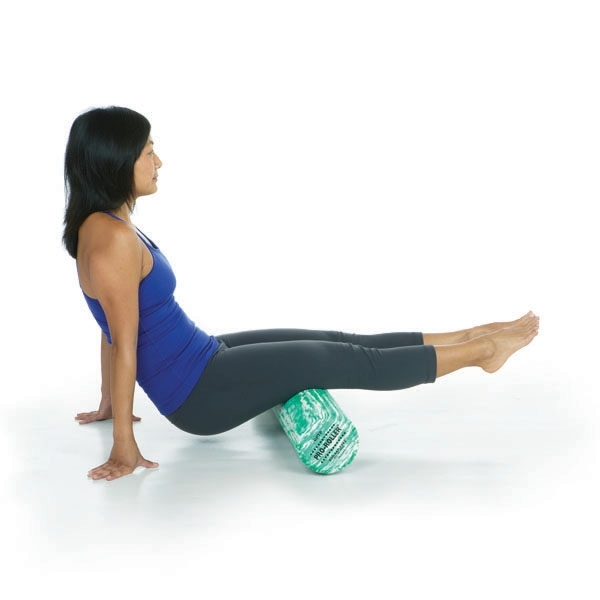 The full size is ideal for massaging adductors, hamstrings, quadriceps and the back, but can also target smaller areas such as the IT Band, hip rotators, glutes and calves. 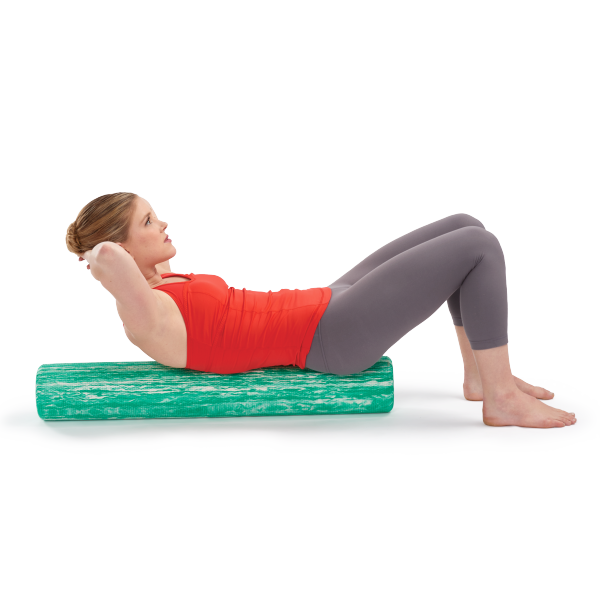 Highly versatile for Pilates, yoga and core exercise. 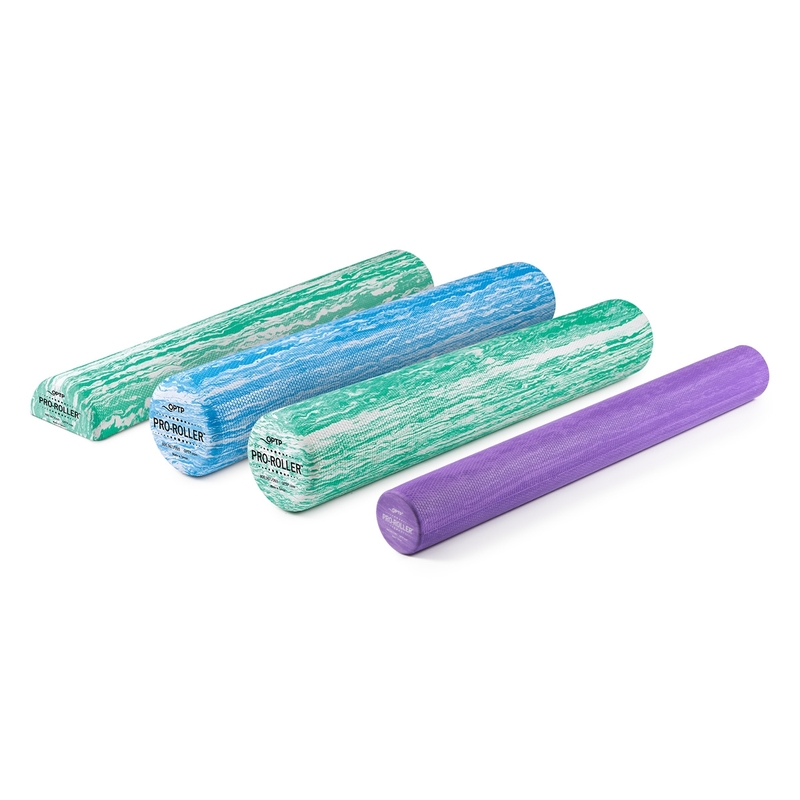 Excellent for muscle tension and myofascial release for thoracic region. Also use for stabilization exercises/core strengthening. Love it! Excellent product. Used in our clinics and now I use at home. Wonderful prices and prompt delivery- ordered foam rollers from here- great pricing for professionals and very prompt delivery. November 5, 2017 / Shawna j Cochran, Personal trainer/ instructor - St. Augustine Fl. I just recently received myofashia certification. The roller is helping me with my sore issues and will be helpful when training clients.. I’m glad I chose the standard version, they are perfect. When You want to train like the pros, use what JC360LIFE KNOWS!!! The best quality tools needed, have to come from the best!! Thank YOU OPTP for your amazing customer service and quality toys!!! Let&apos;s continue inspiring before we expire!! Much love! Stay strong my friends! The blue marble roller is the "soft" roller. I believe it is soft without being too soft. It works well without any discomfort. 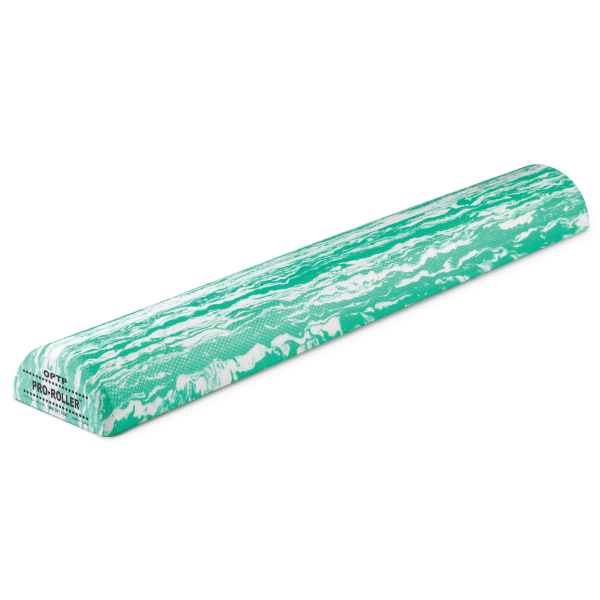 I also purchased the green marble roller. It is fairly stiff. It works well also, but definitely can create discomfort if you apply a lot of pressure. There were both good purchases. 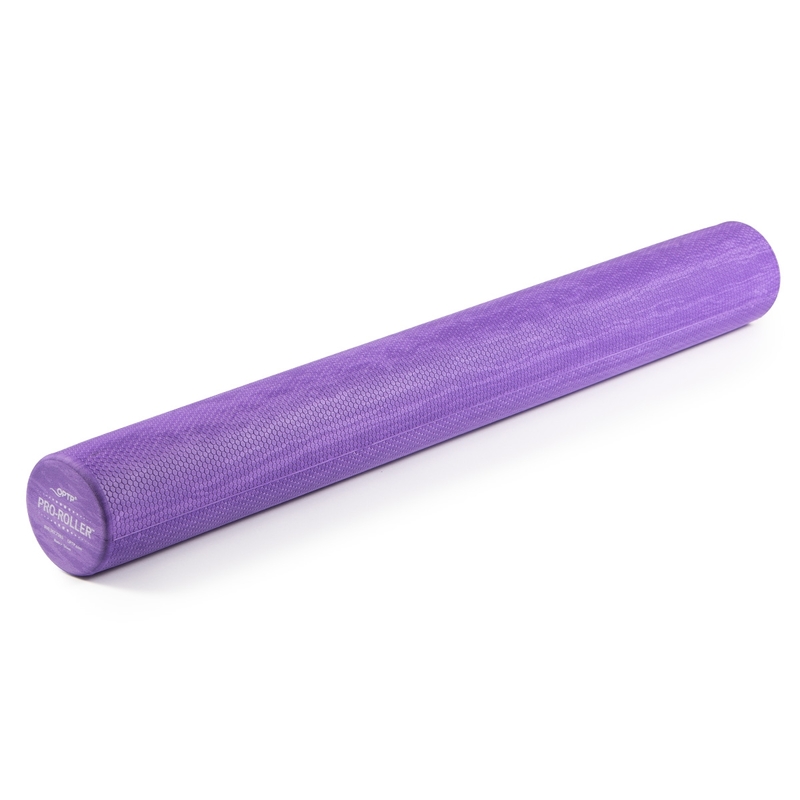 This roller is of very good quality and seems like it will hold up for a long time to come. 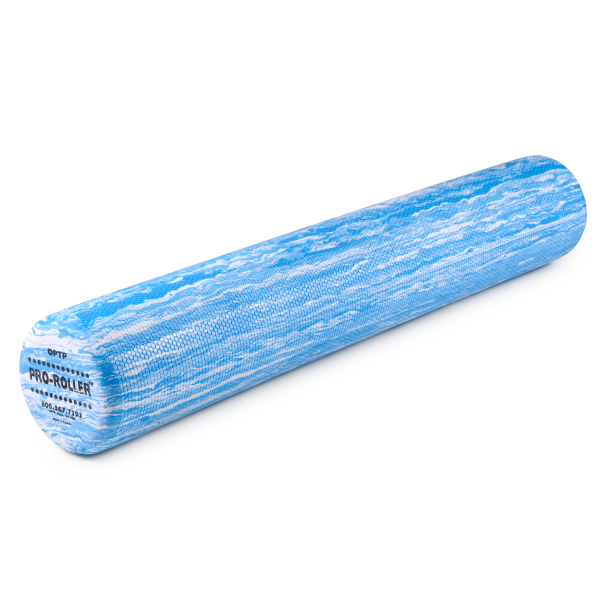 The firm roller is excellent, although when muscles are very sore sometimes the soft roller is the way to go. OPTP has the quality and variety a practitioner needs with one, easy, convenient shopping experience. When you cannot find it elsewhere, look to OPTP. there&apos;s no comparison to this roller and the typical hard roller. quality rules here. Originally ordered it because my wife wanted a foam roller for pilates and we got a couple of the pilates books. She had me try it whenmy back was sore and now I use it whenever I have sore muscles. It hurts a little bit but man do you feel better afterwards. Good for core workouts too.